Big sky country of southwestern Idaho is home to sweeping plains, humble homesteads and a grand pioneering heritage. 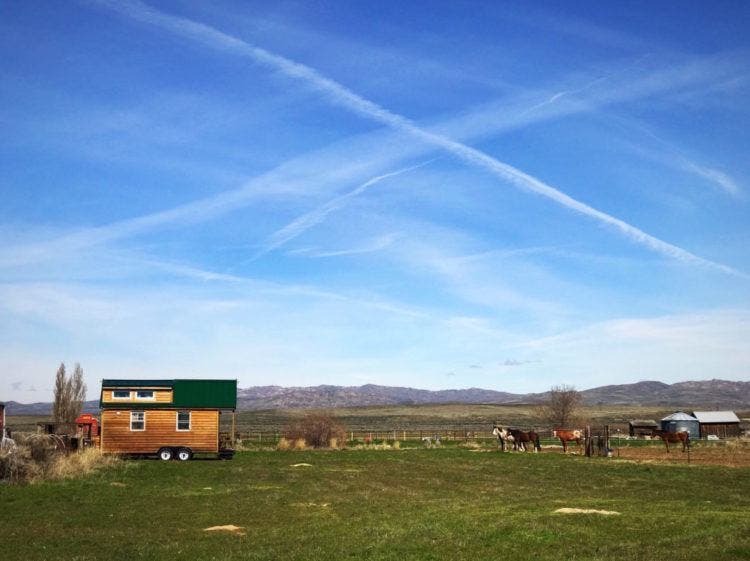 The Oregon Trail runs right through the Dream River Ranch (DRR), an intentional community homesteading project. It is set in a rich high desert landscape with the Danskin Mountains as the majestic backdrop. About a decade ago, the DRR was founded by married couple Willa Rose and Joseph Morisette with two other community members. Together they purchased an 80 acre run-down ranch with a "dream river", a dry river bed that only fills after big rains or snowfall. 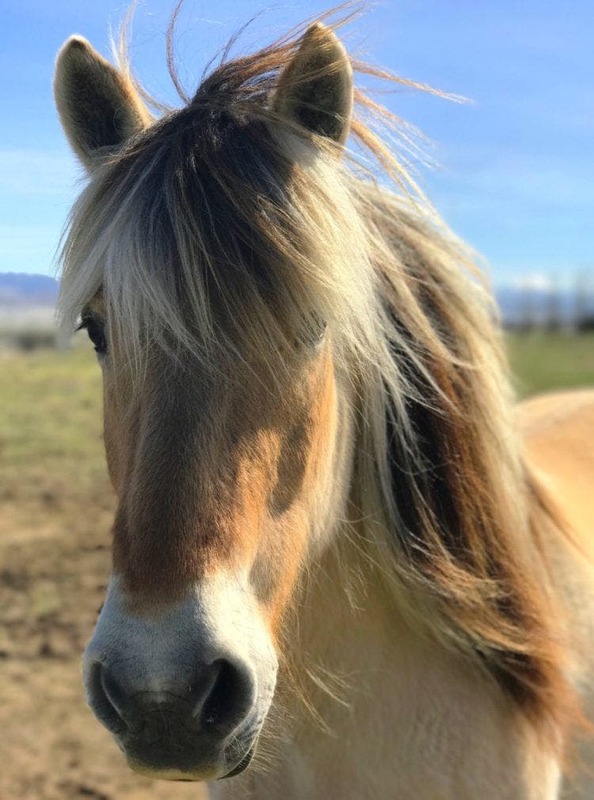 That had big dreams of creating a equestrian centric community, focused on cooperative living and development of permaculture practices, specifically for agriculture, gardening, meat production and nurturing the human body and spirit as residents age in place. This intended to be composed of multi-generational individuals and families. DRR definitely feels peacefully remote but is only 40 minutes from Boise. As often happens with intentional communities, they evolve over time and sometimes experience turnover. Two of the original members left after they discovered that the hands on equestrian co-housing model was not a good fit for them. Sometimes the concept feels right on paper, and then in gritty day to day reality of development is not really what you want, after all. 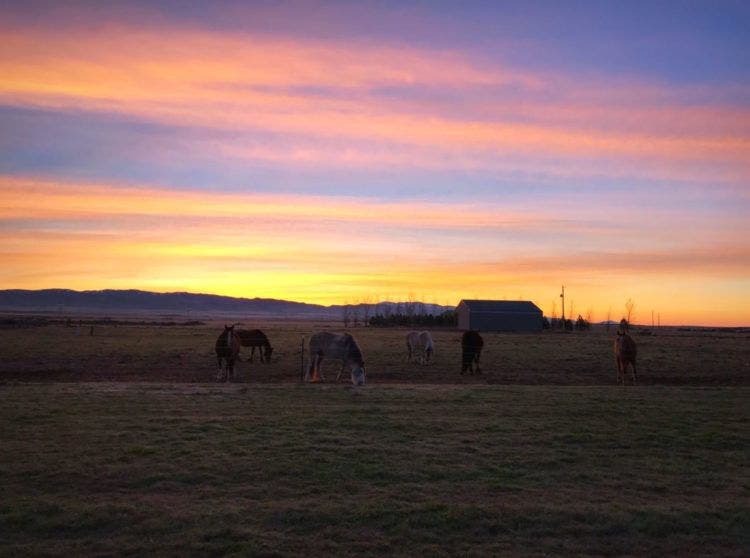 Since this initial turnover, Willa and Joseph have diligently transformed the property in a working ranch and event/retreat center with therapeutic horse riding program, archery range, large garden and more. 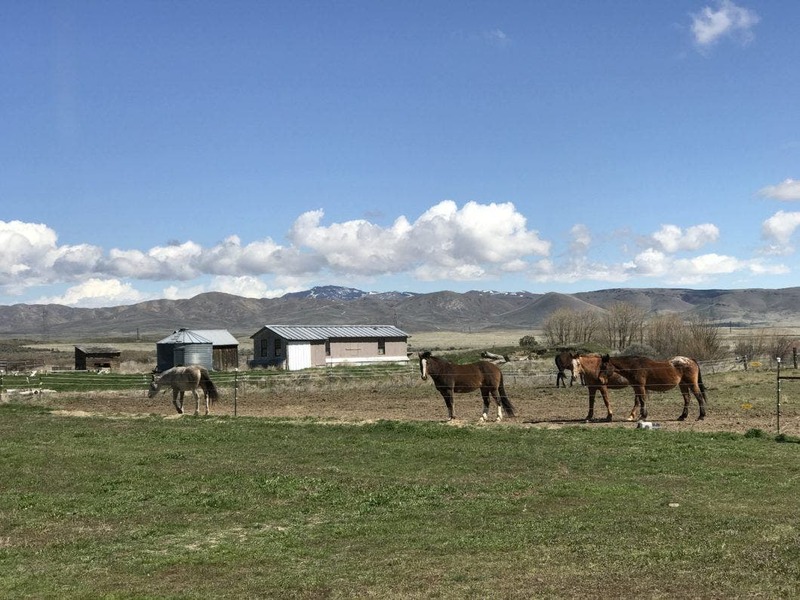 Dream River Ranch is an intentional community centered on a quality horse facility. We have created a society based on consensus where diversity and acceptance of others is a priority, creativity, learning and leadership are encouragedand dedication to good stewardship of our environment, while nurturing sustainable animal, human and plant communities, is a way of life. Willa and Joseph have frequently hosted temporary community members, as well as longterm horse boarding relationships. A new longterm community member is now in the process of joining too. The available housing consists of a passive solar single family house, occupied by Willa and Joseph, with available rooms. There is also a detached garage apartment and lots available to build on. Currently Dream River Ranch (DRR) also hosts overnight tent or RV campers and rents out their two teepees. Dream River Ranch is perfectly situated for viewing the upcoming solar eclipse. Book your stay today! DRR is currently looking for both long-term members interested in building small eco-friendly homes, including straw-bale and cob homes. This past year Willa and Joseph have expanded their community development vision to include moveable tiny homes. They have a plan to create pads with hookups, in the side yard of the main house, to create mini-pocket neighborhood feel. Possibly in the future, they will also intersperse tiny houses between the small foundation based homes. 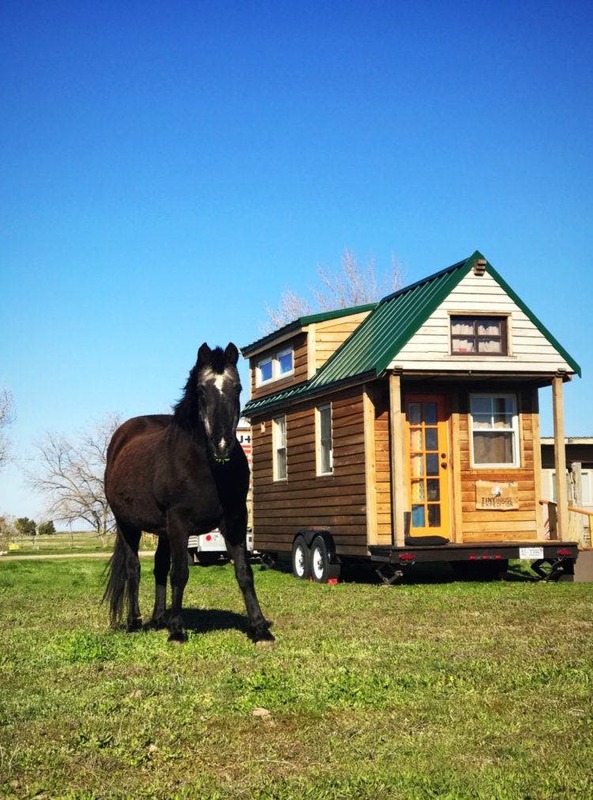 Cody and Randi Hennigan of The Best Little House in Texas spent a week at DRR last year, during their six-month tiny house road trip. They became fast friends with both the horses and hosts, Willa and Joseph. When the Hennigans heard we were coming through the area, they kindly connected us with them. 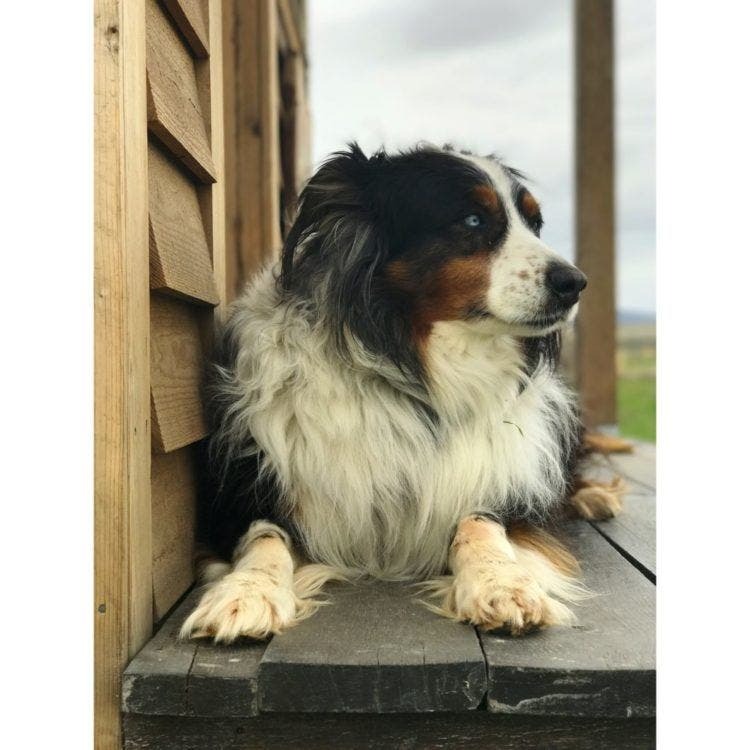 During our stay we helped feed the horses, shot guns for the first time at the DRR's little shooting range, laughed at the scurrying whistle pigs and became close with blue-eyed Frank, the ranch dog. We dined with Willa and Joseph almost every night. As we got to know them, our appreciation for their vision grew. It was definitely difficult to say goodbye to such generous and passionate hosts. And just like any future community member, we would have to do some real soul-searching to determine if this could be a long-term fit for us. 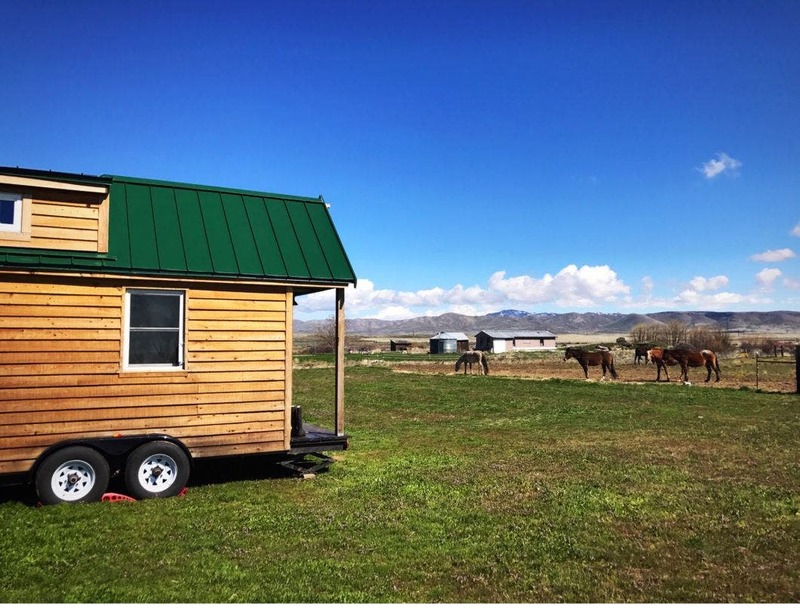 Did you know that Idaho is the first statewide adoption of the IRC Tiny House Appendix V?! 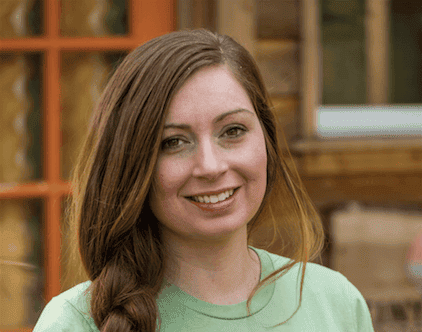 Major kudos to leading local advocate and tiny home dweller Macy Miller. Learn more HERE. Dream River Ranch is teaming with land development, micro-enterprise and community building possibilities. 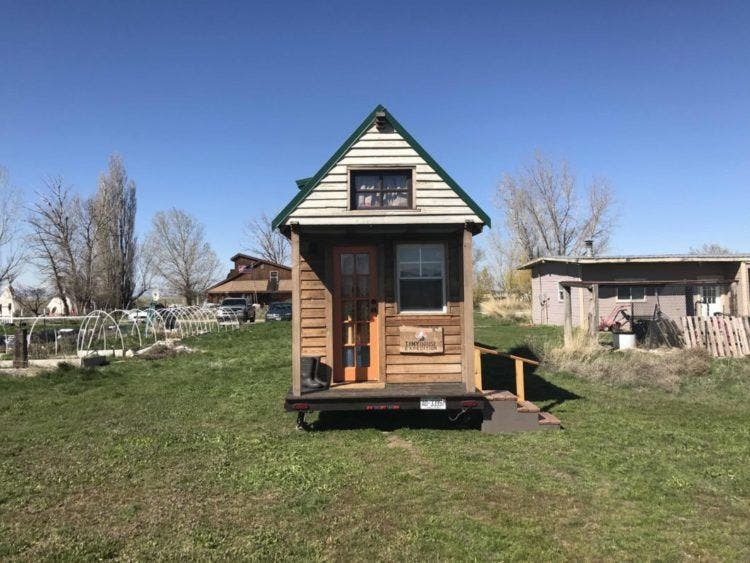 This is also an excellent option short or long term tiny house parking for those looking for a tranquil spot near Boise. To learn more, visit their website and fill out their contact form here. 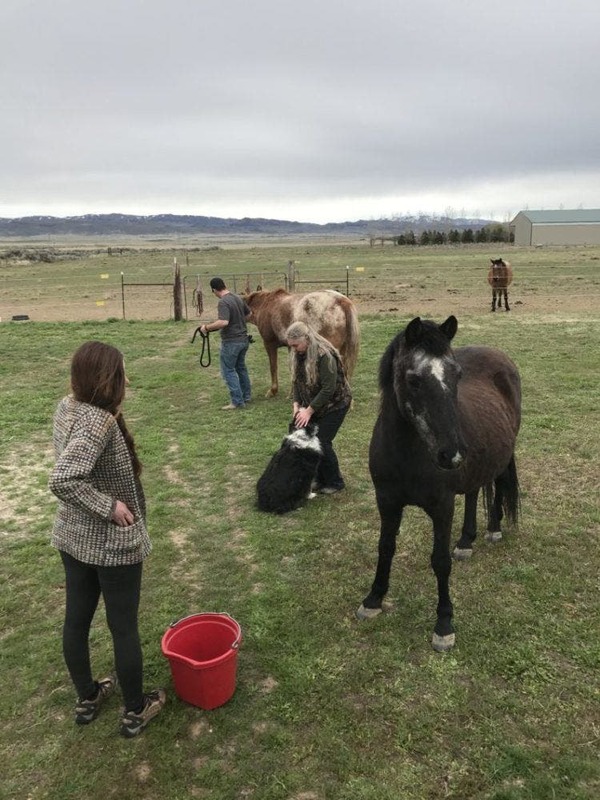 Cutting costs of living expenses and sharing the work load of ranch maintenance is a major relief, which makes horse-keeping more fun. Many people have heard the expression, “It takes a village to raise a child”. Horses naturally know that it takes the herd to survive in the wild and they learn social grace within that herd. Living in community is like living with the herd. Horses graze together and so do we, with one community meal per day prepared by alternating cooks. Horses gallop together with pure energy and glee; and so do we by enjoying our horse play time with passion, co-operative work and feasting time with joy; and the short walk through the gardens to home with appreciation. My partner, Christian and I are traveling tiny house dwellers. Together we've been on the road two years for our documentary and community outreach project, Tiny House Expedition. We live, breathe, dream the tiny home community every day. This is our life, and our true passion project. We are very grateful to be able experience this inspiring movement in such an intimate way and to be able to share our exploration with all of you. I am SO SO SO excited to hear this! I am in the process of getting ready to finance my Tiny (42′ long almost 10’wide) and I have been scouting out places that I could park it. I was running into many road blocks, but the IRC Ammendment sparked my hope again…now this! Ultimately, I would LOVE to see a pocket neighborhodd/community or village of tinies in the city someday, and would be beside myself if I could get in on that action at the ground level but…just takes time…and a LOT of money ? Anyhow, if this area were to become Tiny friendly and once the pads and hookups were installed what would the space rent be? !